My son's Lumina has an intermitent problem. It has the 3.1 V6 and 155,000 miles. It routinely runs like a top. Very recently when you get in the car and start it up the engine will idle between 400 and 1400 rpm. It will not settle down. If you try to accelerate it will surge and hesitate. As the car slowly gains speed, the engine smooths out and runs fine, idles at 750 when you come to a stop, and runs like normal. Once it gets through this it won't happen again for another day or so. If you shut the car down and restart, it will sometimes cure the problem. I have changed the plugs, wires are about a year old. Could this be a mass air flow vale, O2 sensor, ignition pack? Either the MAF or the MAP may cause the problem. If those 2 sensors are good, plug your scan tool into the diagnostic connector and start the engine, then look at the Short Term Fuel Trim (STFT) and Long Term Fuel Trim (LTFT) values. Normal range is typically plus or minus 8. If the numbers are +10 or higher for STFT and LTFT, the engine is running LEAN. If you rev the engine to 1500 to 2000 rpm and hold it for a minute or so, and the STFT value drops back down to a more normal reading, it confirms the engine has a vacuum leak at idle. 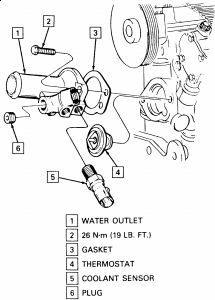 If the STFT value does not change much, the lean fuel condition is more likely a fuel delivery problem (weak fuel pump, restricted fuel filter, dirty fuel injectors or a leaky fuel pressure regulator) than a vacuum leak. I do not currently have a scan tool, where can I get one of these? Is this something an auto parts store would loan out? I doubt the fuel filter has ever been changed on the car and may just change it out. Never heard of a MAP, what exactly is this. I have tried to divorce myself from repairing cars the last 10 years, but with kids in school it is hard. MAP sensors monitor changes in intake vacuum, which is a way of determining engine load. When engine load goes up, intake vacuum drops. Vacuum is highest at idle and drops during acceleration and wide open throttle. The computer uses the MAP sensor's input to vary ignition timing and the fuel mixture. 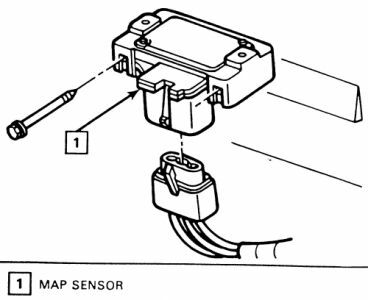 So a MAP sensor problem may cause drivability problems such as surging, poor fuel economy and performance. 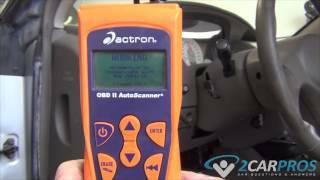 Auto part, auto zone and O'Reilly offer free scanning. As I explained for the fuel trim(print it if you like), you can read it directly from the scanner. start with fuel filter, lot of build up of rust in the fuel filter could cause the problem too, specially the 150000 miles. Well I changed out both the fuel filter and the MAP today. The accelration issue has been getting worse the last few days my son said, but has driven close to 35 miles around town today and this evening and it hasn't missed a beat. Not sure if it was one or the other but I am out of town for the next 2 weeks so we had to get it fixed. Thank you for the help and advice. I will say working on my old '69 Cuda convertable was far easier than the stuff of today. A bit simpler as well. So far the problem seems to be gone. Well my sons car has been acting up again with the same issue as before. I have changed the fuel filter and MAP. It seemed to work fine for a few weeks but is back again with teh same problem as stated before. Does your engine light comes on, Is any strange smell coming from your car? No engine light on and there are no strange smells coming from the car. A lazy coolant sensor may cause the problem.it should change resistance as the coolant temperature increases and decreases. # Remove the temperature sender from the engine. # Position the water temperature sending unit in such a way that the metal shaft (opposite end from the electrical connectors) is situated in a pot of water. Make sure that the electrical connector is not submerged and that only the tip of the sending unit's body is in the water. # As the water warms up, the resistance exhibited by the ohmmeter goes down in a steady manner: the sending unit is good. # As the water warms up, the resistance does not change or changes in erratic jumps: the sender is bad, replace it with a new one. Resistance changed and the unit seems to work as advertised. Don't think it is the problem. 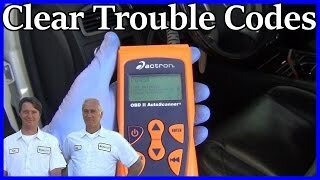 So far as I know, there is no engine light, there is no trouble code .The "check engine light bulb can be burned out and does not mean there is no code. use a jumper wire (see red wire above) and connect terminals A and B. Next turn your key on but don't start. Watch your check engine flash the code/s. EXAMPLE: CODE 12: one long flash and two short flashesCODE 13: one long flash and 3 short flashes. Note: code 12 is usually the first code you get and just ignore it.Watch the code after code 12, that's what you need. next, you should do a fuel pressure test ,check that pump pressure is 24-40 psi. I'm sending this diagram to your email.